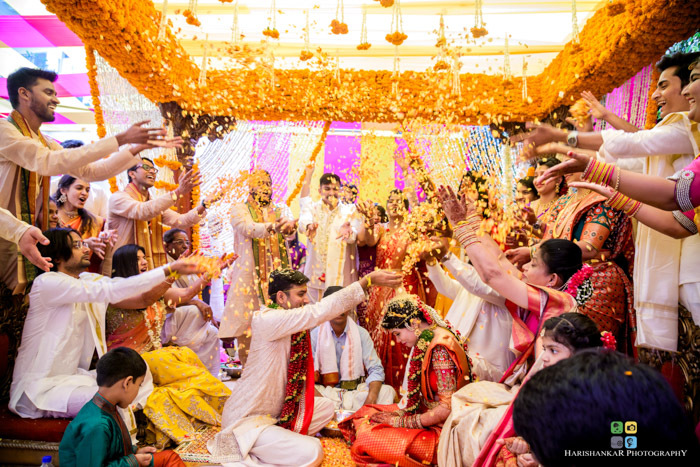 What should you expect when you are working with a bride who was also an event planner? 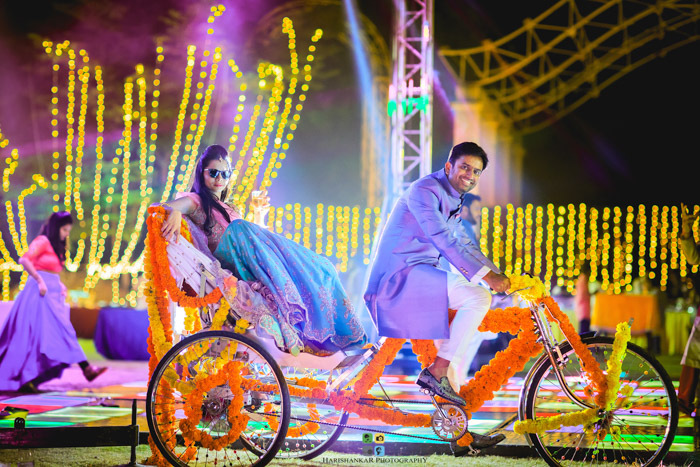 A very practical fairy-tale vision of what her wedding should look like of course! 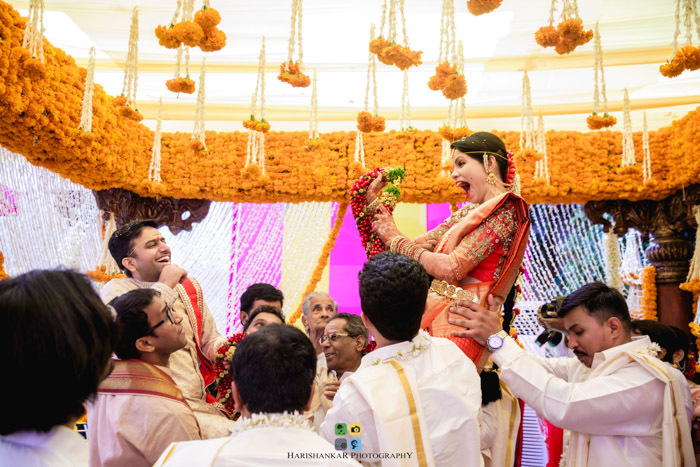 Shruthi, our playful, warm and fun loving bride was a joy to work with. 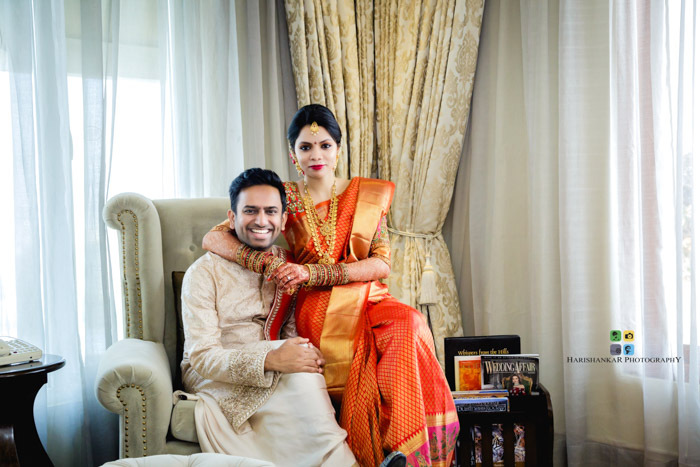 Once she gave us a list of her ideas and visited the various venues she left us in complete control to do our job. 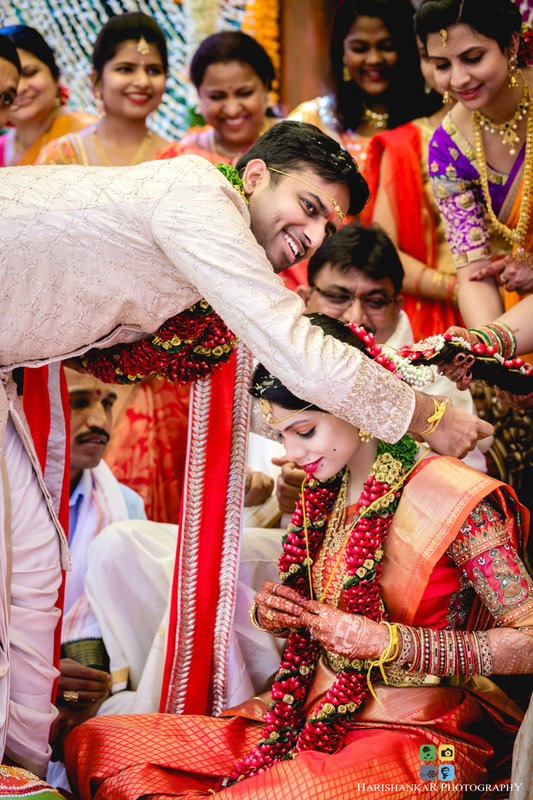 As for Teja his only requirement was that Shruti has everything just the way she wanted. 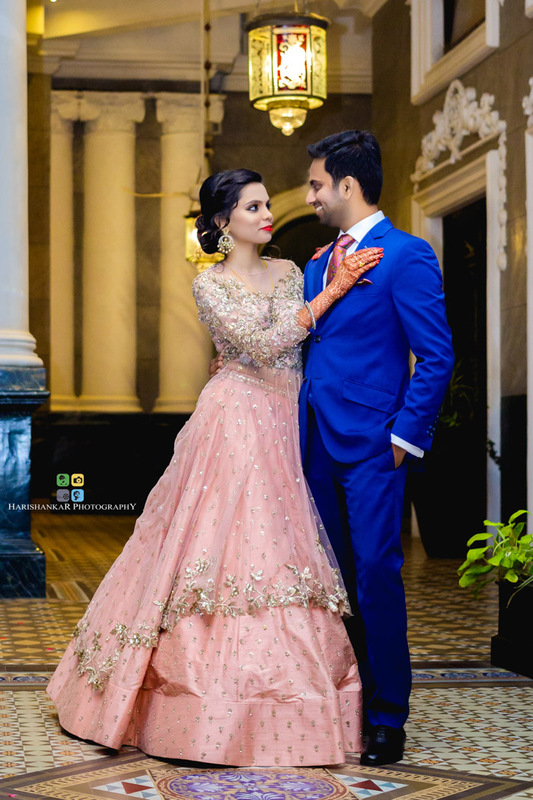 Thus started our journey with this lovely couple. 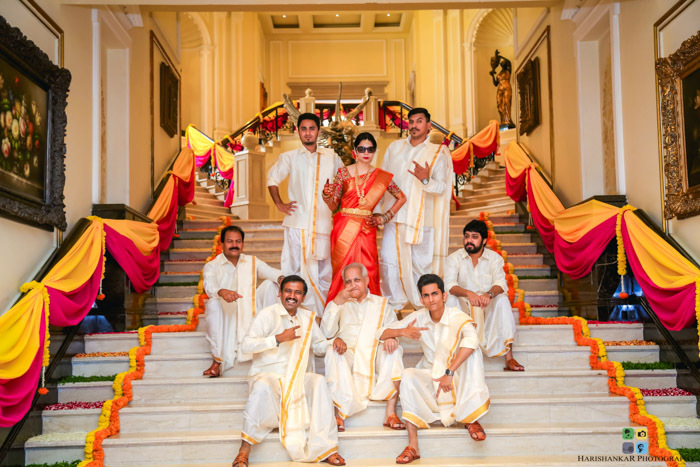 The wedding was a beautiful affair at the Taj Krishna, Hyderabad. 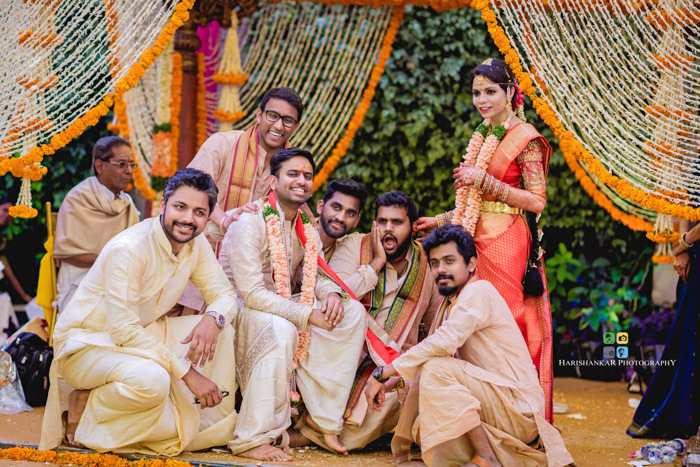 Colourful decor, meaningful rituals infused with fun, and tasty Hyderabadi cuisine made it a memorable celebration. 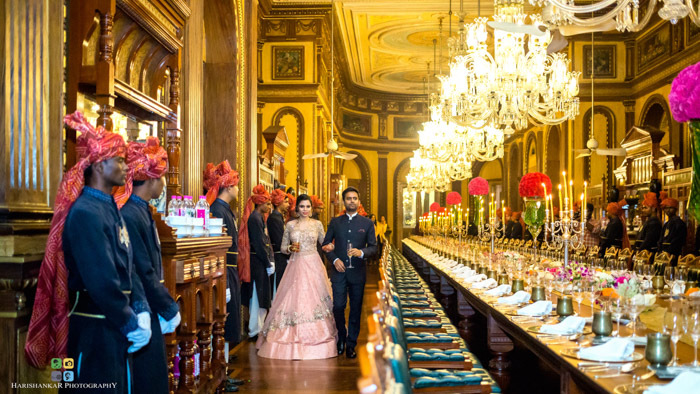 The reception was held at The Taj Falaknuma Palace. 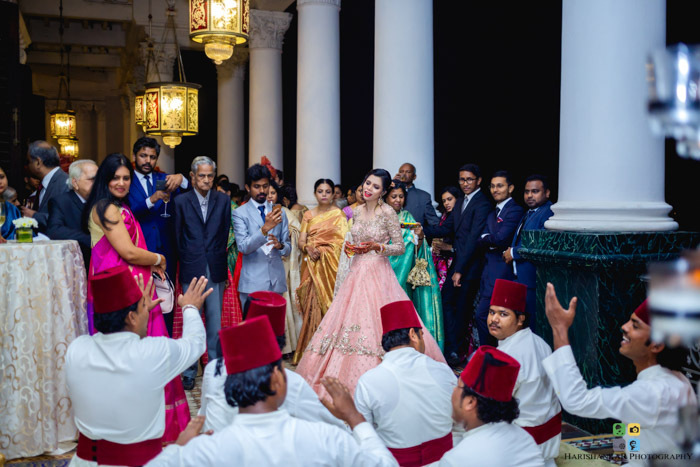 Guests soaked in the beauty of the Nawabi culture as they toured the legendary property. 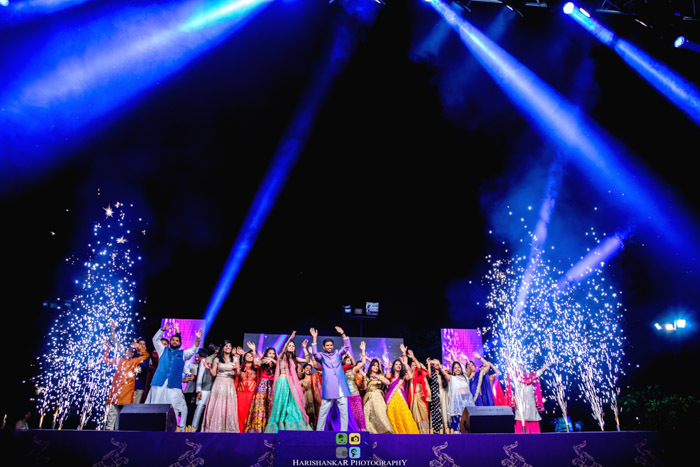 The tour culminated at the palace terrace where everyone was mesmerised with the views across Hyderabad and entertained with live Sufi singers. This was then followed by an exquisite dinner at the world famous “101 room”. 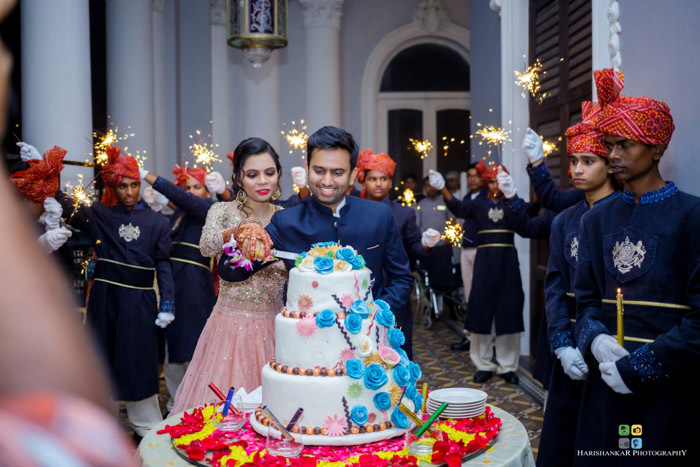 With its plush wooden interiors, ornate crystal chandeliers and Shahi cuisine it marked a very special finale to these wonderful celebrations. 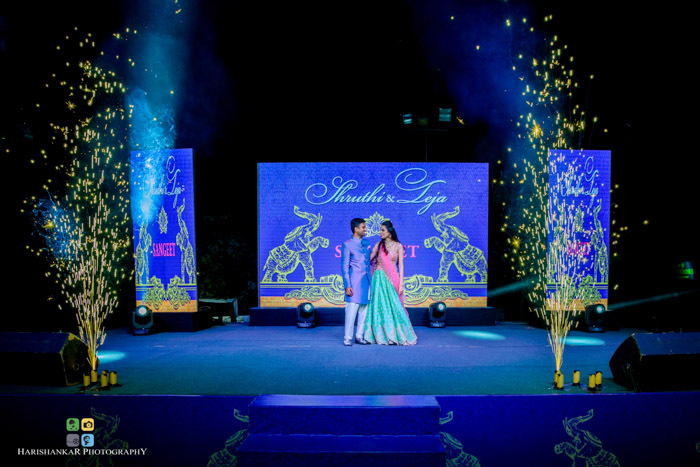 Teja and Shruthi, witnessing you enjoying your celebrations reminded us why we do what we do. May every day of your life be filled with wonder and laughter!